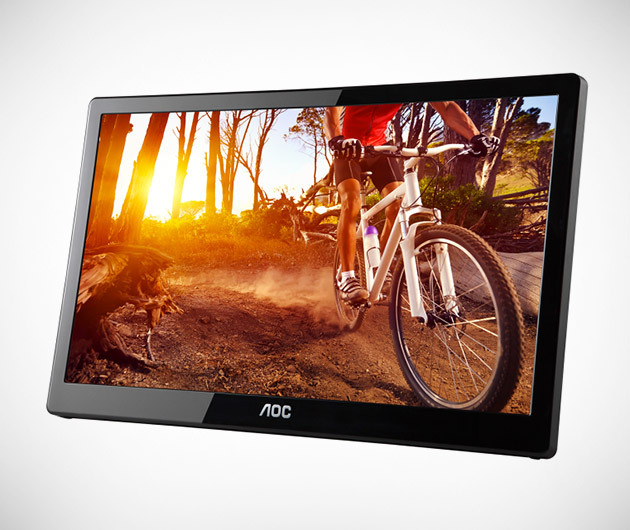 Lighter, sleeker and faster than ever, the stylish AOC E1659FWU Portable LCD Monitor sports a USB 3.0 connection that enables super-speed transfer rates and premium quality imagery. Finished in a sumptuous piano-black gloss, it houses a 15.6-inch screen with a 500:1 contrast ratio, 5ms response time and a 1366 x 768 resolution at 60Hz. Has a foldable flexi-stand for landscape or portrait viewing.